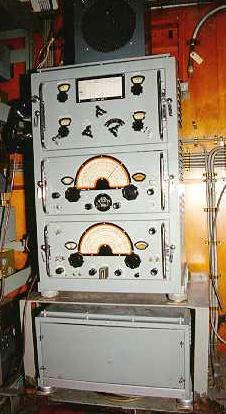 I need an ATU for my Canadian Marconi CM11 transmitter, used on ships. In the photograph, the CSR5 receiver is at the bottom of the rack, the CM11 exciter is the middle unit, and the ATU is the top unit (it also contains the PA coils and tuning). I have the 2 bottom units and the rack, I just need the top unit. I will pay or swap if you wish, and also pay for postage. Thanks for reading. The photo is from Jerry Procs website, thank you Jerry.